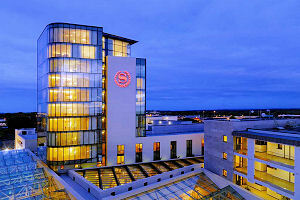 A great representation of the E-SPACE team (Prof. Teresa Burke, Dr. Alberto Blanco-Campal and Dr. Unai Diaz-Orueta) will be present at the 46th Annual PSI Conference that will be held at the Sheraton Athlone Hotel, in Athlone (Co. Westmeath) on the 11th November 2016. The E-SPACE team will be presenting a symposium session entitled: Revisiting the Boston Process-Approach: a European Standardized Process Approach to Cognitive Evaluation of Older People. First presentation, performed by Prof. Teresa Burke, will focus on "Revisiting the process-approach to cognitive assessment: Advantages of complementing traditional scoring with a focus on processes and strategies", with a special emphasis on the advantages of including a qualitative approach to neuropsychological evaluation without compromising standard administration procedures of cognitive tests. Second presentation, performed by Dr. Alberto Blanco-Campal, will focus on "Latest adaptations of screening tests to a process-based approach: initial findings and advantages" with a special emphasis on the latest process-based approach adaptation of the Montreal Cognitive Assessment. Finally, Dr. Unai Diaz-Orueta will present "Can test computerisation provide added value to a process-based approach neuropsychological assessment?" with a special emphasis on those indices and features of cognitive tasks that would clearly benefit from digitalisation. The 64th Annual Meeting of the Irish Gerontological society will be hosted in Killarney from the 30th September to the 1st October. The poster entitled "Rescuing The Process Based Approach To Neuropsychological Assessment: Focus On Strategies And Performance Mechanisms Rather Than Total Scores When Assessing Older Adults" will be presented by Dr. Unai Diaz-Orueta, addressing the latest results and advances held within the E-SPACE project. A focus on practical issues about the advantages of undertaking a qualitative process based approach to neuropsychological assessment will be highlighted. 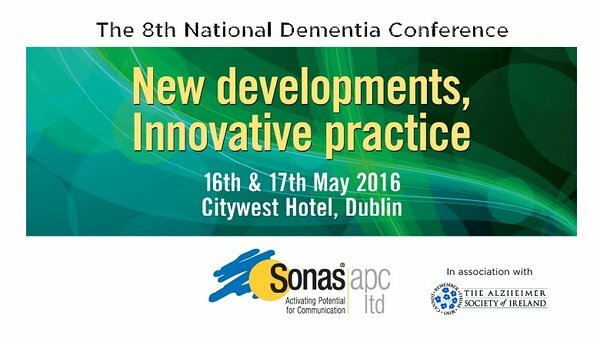 In the context of the 8th National Dementia Conference in Ireland, that will be held at the Citywest Hotel in Dublin on the 16th and 17th May 2016, Dr. Unai Diaz-Orueta and Prof. Teresa Burke, Research Fellow and Project Supervisor, respectively, will present a poster on their E-SPACE project. This poster titled: "European Standardised Process Approach to Cognitive Evaluation in Older People: An Overview" provides details of their European Commission funded research project designed to improve early detection and diagnosis of cognitive problems. We invite all those attending the conference to visit our poster to learn more about the project and the process-based approach to neuropsychological evaluation of Mild Cognitive Impairment and Dementia.